We’re attempting to list all of the entertainment venues, in pubs, cafés and restaurants, in and around Cambridge’s Mill Road, with links to their websites, Facebook pages and Twitter feeds. Click on each pub, café or restaurants’ address to open a map in a new window or tab. The descriptions are garnered from each establishment’s own website or from on-line reviews. They are not to be taken as a recommendation from Mill Road Bridges. If you run a venue pub, café or restaurant and we’ve missed out – or we’ve missed out your favourite venue – please leave a comment on this site, send us a direct message on Facebook, or Twitter, or email info@mill-road.com. Sociable backstreet Cambridge pub. Selection of ciders, ales, craft beers and gins. Occasional Alex Garden Parties with acoustic live music, family entertainment and garden games. 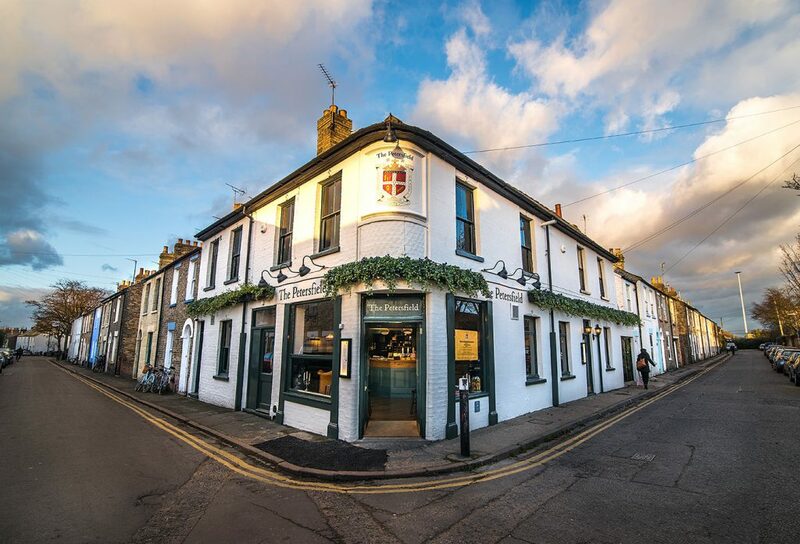 The Brook – a family friendly, community pub located in Cambridge, offering a traditional pub menu with lots of classic favourites, all freshly prepared. There is always a great selection of real ales, lagers, fine wines and a great range of gins. We love live sports and have BT Sports on 5 large screen TV’s throughout our premises. 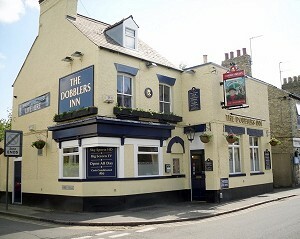 The Dobblers is a traditional, sports mad, community ‘backstreet boozer’, with a loud, lively & friendly atmosphere, situated in a densely populated area of Cambridge, between the Grafton Centre, Beehive Centre and Mill Road. Regular Tuesday Quiz Nights, Wednesday Crib League & Darts League, Pool League on Thursdays, live sport on the TVs throughout the pub. 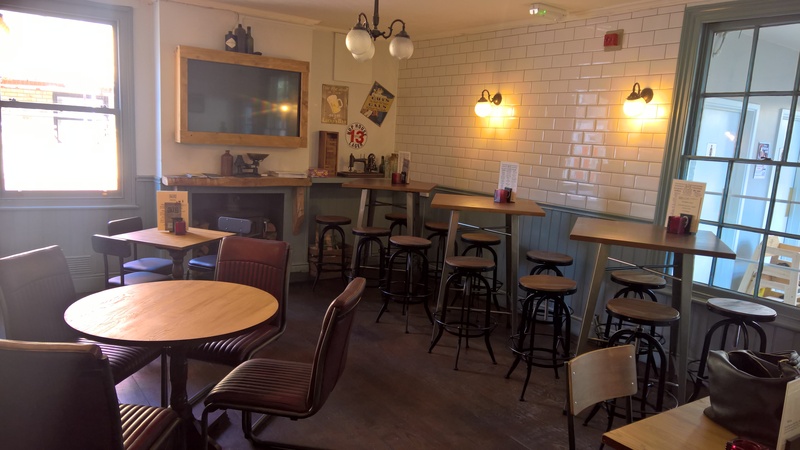 Real Ales, ciders, lagers, pizzas, light bites and pub favourites. A multi-award winning, thriving,community pub, a live music venue, and home to a fine range of Cask Marque ales, refreshing lagers, draught ciders, and absolutely lovely wines, that’s not forgetting a bar billiards room and swap library, a suntrap beer garden, delicious stone-baked pizzas. Our Tuesday acoustic jam attracts some of the best musicians in Cambridge, there’s jam for Sundays called Jam Sandwich (because… why not!). For both jams, you’re more than welcome to come along simply to listen, or to play. Then we have a lovely, relaxed open-mic night every Thursday courtesy of PluggedIn Events. Finally, Saturday is our guest act night, and we’ve been blessed with some truly stunning performers. Plus we also hold occasional one day music festivals. Regional winner for Best Spirits Pub of the Year 2012. Regional winner for Best Smoking Area 2012. Award from Great British Pub Awards by the Morning Advertiser. Regular quiz nights. A backstreet pub in the heart of Cambridge specialising in quality real ales, innovative & exciting food on the ‘hot rocks’, live music & local art. Hot Numbers opened in 2011 just off Mill Road, on Gwydir Street – named in memory of Hot Numbers Record Store that traded for years on the adjacent Kingston Street. The vision was for a space to combine good music and good coffee and a friendly meeting place for the locals. Espresso, brewbar & roastery. Proper coffee, friendly staff, live jazz, gallery, real piano! Early and all-day brunches. Street-food available from selected partners on music nights. Enjoy Live Music with your dinner on select evenings. We have a grand piano and many other stringed instruments. We pride ourselves on being at the very centre of the local community, providing a warm, welcoming atmosphere and acting as a hub for residents of the surrounding area. Quizes every Sunday at 7:30 pm. Independent Record and Coffee Shop, Opened Autumn 2014 for Records and Recuperation. Late-night pub with a British menu; sports shown on 5 TV screens, focusing on including all Gaelic games and rugby; traditional Irish music every Monday night. Please leave a comment on this site, send us a direct message on Facebook, or Twitter, or email info@mill-road.com. It would help us if you could send us a brief description of the venue, and links to their website, Facebook, and Twitter accounts. Lovely to have this information especially if like us we will be visiting the area for a weekend. However, the one thing we feel is missed out is whether places are dog friendly, as we often bring our dog on weekends away. We would be interested about places to eat and visit ie the Cambs Antique Centre ( we do not leave our dog in the car at any time). I wish we could collate all of that information but, as a small, voluntary organisation, we do what we can. I would suggest that you check with the websites/facebook pages of cafés and pubs, email or phone them. At least we’ve been able to provide you with that information. Regarding interesting shops to visit… We think all of our independent traders are well worth a visit!